The Compo is a 1981-1983 Tokyo traffic-buster designed to fit in the boot of a Honda City car. When the gridlock gets too much, ditch the four-wheeler (not sure exactly where) and continue on the fold-out moped. Langy, the art editor on Bike magazine, loves them. But this one had a bulb-blowing problem. A quick test showed up to 18 volts at the rear light, so no wonder. It’s actually a 6 volt system! Trouble is, there was nothing wrong with the wiring or charging coils. I was a bit puzzled by this so I consulted Marcus Rex at Rex’s Speedshop in Sussex. He told me something new about the Compo’s extremely basic charging system. I’d already established that one coil does two jobs: it provides the lights with AC current, and also the battery (via a diode) with DC. 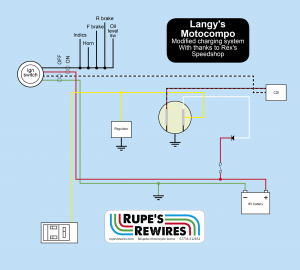 There is no voltage regulator. 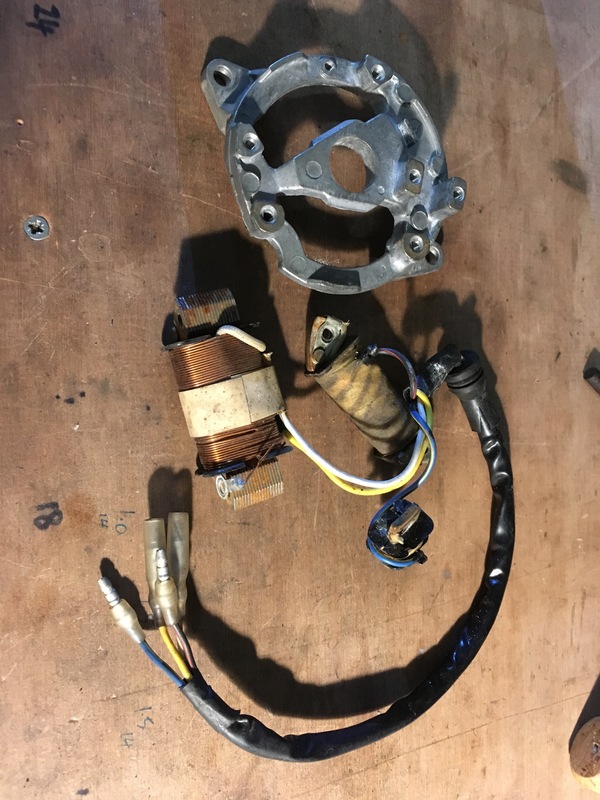 Marcus explained that it’s a decades-old charging system, probably invented by DKW or someone. Its great virtue is low cost and minimal size. 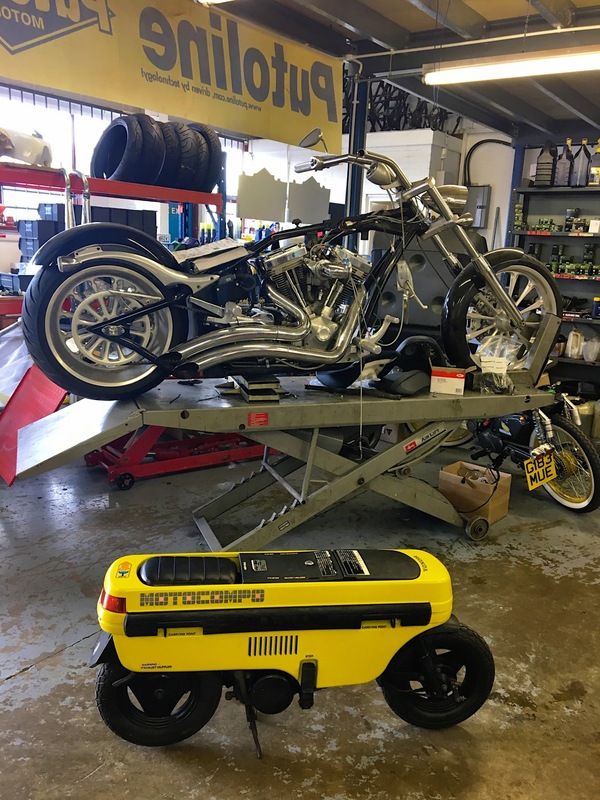 Unlike with a normal bike, which has a voltage regulator, this low cost system relies on you having the right wattage bulb in the head and tail light to balance the output produced by the generator. Even then the balance is only approximate; the output varies with different engine speeds. The same is true of the charging part of the coil. Sometimes (at very low revs) it might produce a little less than the battery needs. Most of the time (ie at higher revs) it produces more than the battery needs. Originally the bike had a lead acid battery with liquid acid. 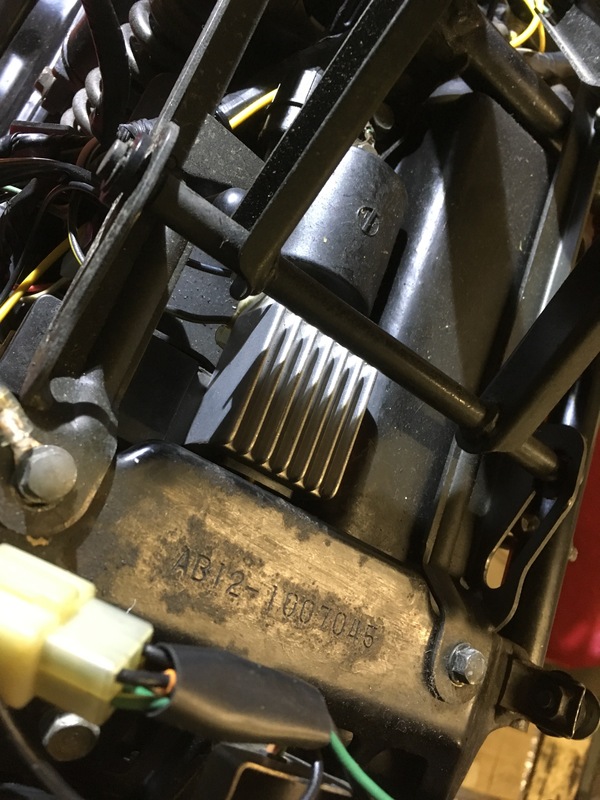 If you overcharge a liquid acid battery it ‘boils’ away the water in the acid, which is why the manual tells you to top up the battery with distilled water. This ability of a lead and liquid-acid battery to absorb overcharge is the nearest thing to a voltage regulator on this system. 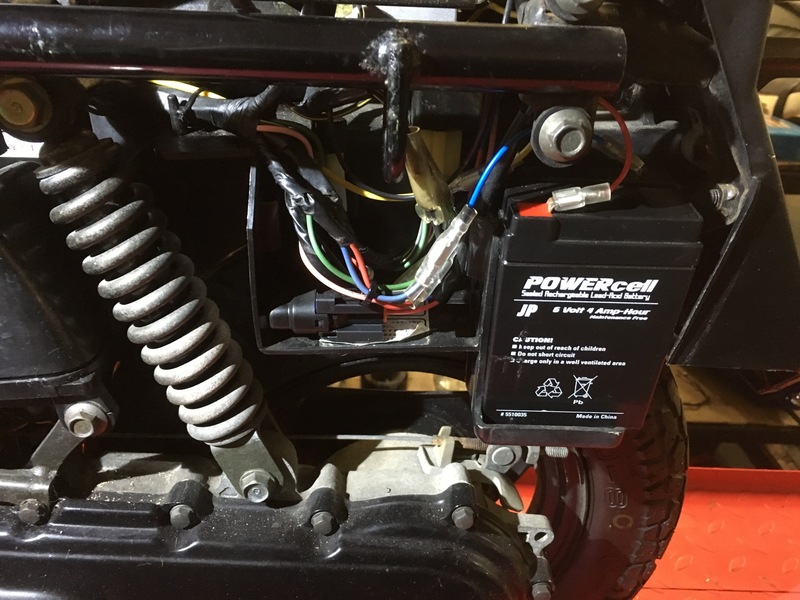 Nowadays bikes tend to use gel lead acid batteries which are much more tightly sealed than the old battery type. They are less willing to absorb the overcharge, so the bike’s system voltage goes up – in this case to 18 volts. This stresses out the battery, shortening its life. It will also shorten the life of the indicator and brake light bulbs. 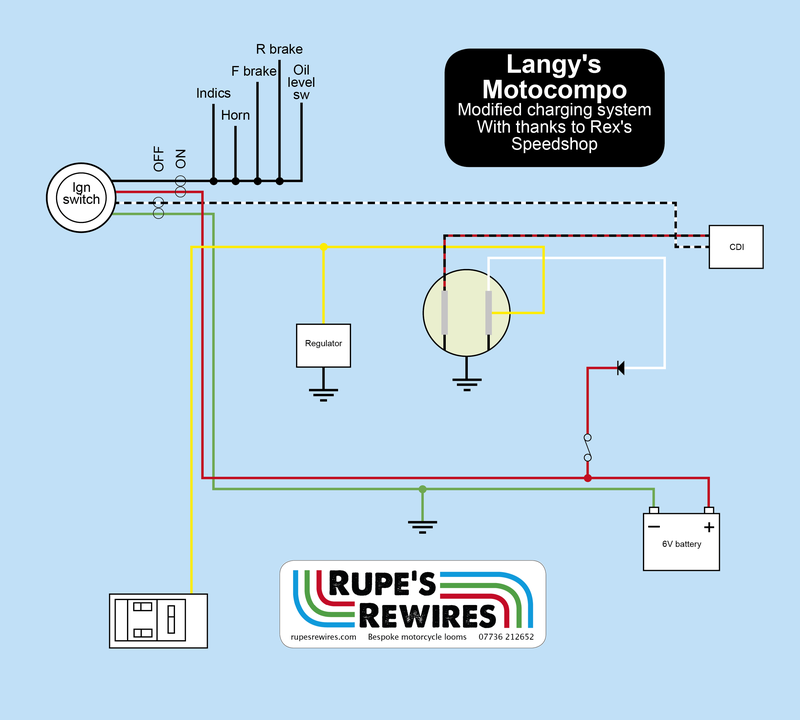 The solution is to add a voltage regulator, sold by (among others) Rex’s Speedshop. 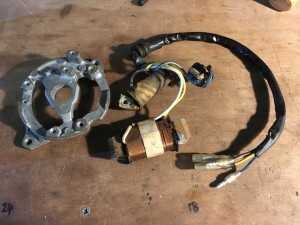 Some bikes (for example the late 1970s Yamaha DT250MX) have these regulators as standard. If you plumb it into the coil as directed by Marcus, the entire output reduces a bit. In this case it went down to a max 10 volts which is nearer to OK on a nominally 6 volt system. 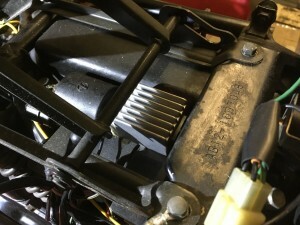 Marcus has added a tech sheet about this (called ‘Fitting an AC regulator’) on his dazzlingly useful website rexs-speedshop.com. 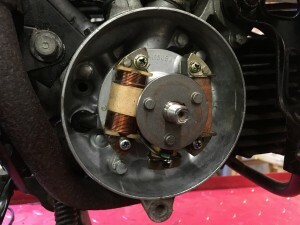 The site is packed full of info on sorting out electrical gremlins on 1960s and 1970s bikes.